Your task in this colorful puzzle game is to fill out all white shapes with the blocks available. Simply move them on a spot and make sure to cover the entire white space as quick as you can. Are you able to solve all levels and earn a high score? 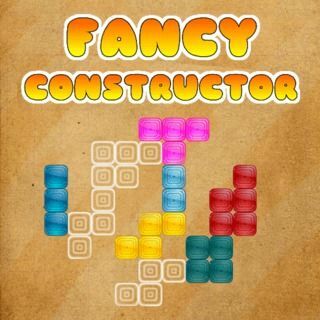 Fancy Constructor - Find Fancy Constructor in our vast HTML5 games catalogue. Only the best and newest HTML5 games for all audiences. Guaranteed success with Famobi.